Florida was once a swampy wilderness of pines, palmettos, and moss-draped cypress. To these wilds came the first settlers, willing to risk their lives for a piece of ground they could call their own. Like the native Indians before them, the homesteaders made their living off the land they loved by fishing, hunting, and trapping. One of the critters they trapped was a scaly reptile that inhabited the swamps, creeks, and watering holes of the semi tropical jungle: the American alligator. It took a real man to wrangle the indisputable king of the wilderness, a wily creature as big as a man himself---even twice as big. 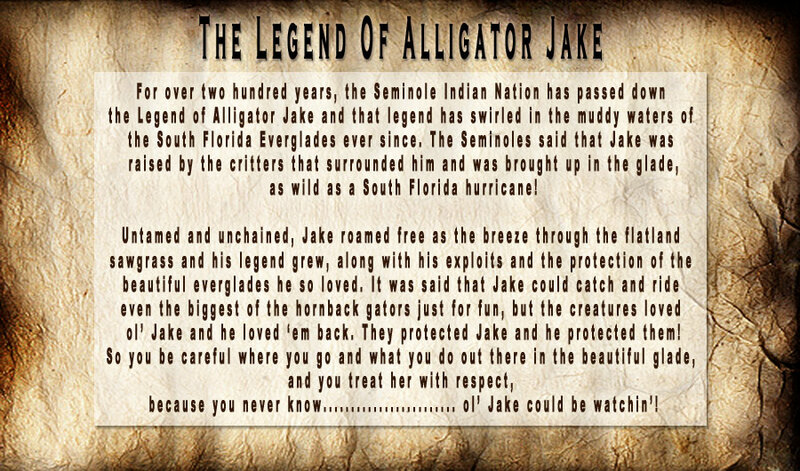 Like the fur traders of the Rockies and the cowboys of the Old West, these alligator trappers were legendary figures: courageous, resourceful, and durable as gator hide.